Magic Bars are one of my all time favorite desserts. I loved these as a kid when my mom would bake them. So when I saw this Christmas version I knew I had to make them! I found the recipe here. 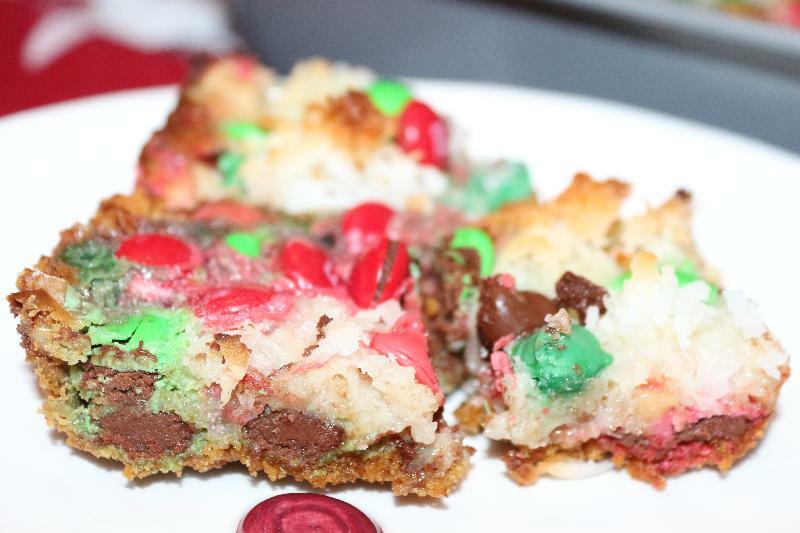 I love magic bars because not only do they taste great, they are also very easy to make. Place the melted butter in a 13 X 9 pan. Sprinkle the graham cracker crumbs over the melted butter, and press lightly. Pour the sweetened condensed milk over the graham cracker crumbs. Sprinkle 1/2 of the chocolate chops, 1/2 of the M&M's and the nuts over the sweetened condensed milk layer. 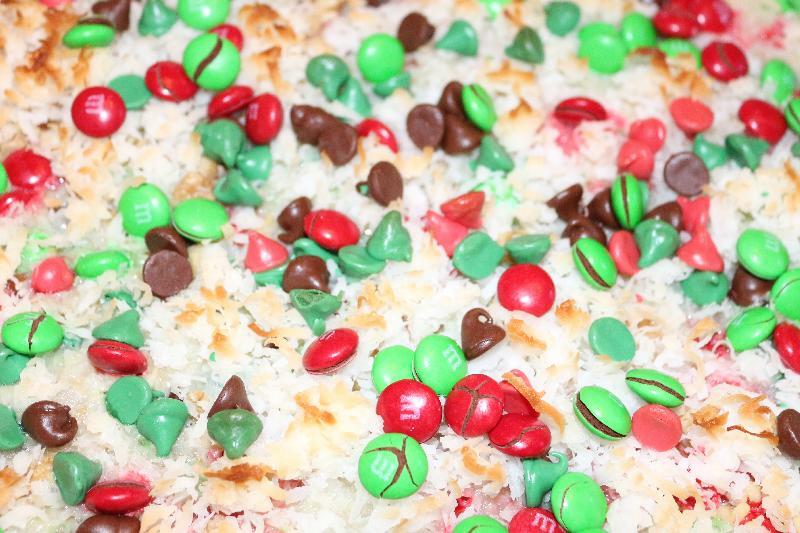 Sprinkle the coconut on top, followed by the remaining chocolate chips and M&M's. Bake in the oven for 25-30 minutes, or until lightly browned. Remove from the oven. Allow the magic bars to cool completely before slicing. Enjoy!